Our team believes that our customers deserve the best possible repair services we can offer them, which is why we stand fully behind our technicians and their capability to deliver excellent results for affordable prices. Our repair specialists are highly trained, experienced, and they work fast to always get the job done right the first time. We take our services extremely seriously, and our technicians work hard to meet all your opener related needs. Whether your unit is having trouble receiving a signal from the transmitter, there's an issue with the photo eyes, or its motor gear wore out, our experts will quickly identify the problem, fix it, or replace the faulty parts where needed. Trying to use your garage door after a spring broke can be incredibly dangerous, and can also damage other parts in the process, including the opener. To avoid causing even more problems and to prevent further damage, we recommend you call us. Be aware that attempting to replace a broken garage door spring without the proper skills and tools is a risky process that could lead to serious injuries and should only be carried out by a trained professional. Let technicians take care of the job for you. 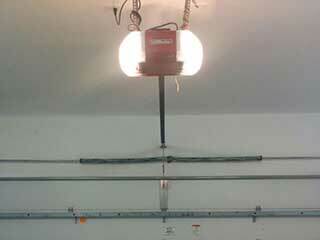 Your garage door system uses tracks to guide its opening and closing motion. The rollers are a crucial components, as they essentially promote the movement of the panels. A damaged or worn roller can cause problems with the functionality of the door, and may cause it to get off track if the problem isn't addressed quickly enough. Your door will probably open and shut without issue hundreds, if not thousands of times. But on those rare occasions when problems do arise, you can count on us for help. We're here to help you with anything from broken springs, squeaky rollers, frayed cables and practically anything else. Contact Garage Door Repair Minneola today and let our experts get your system up and running smoothly again in no time.